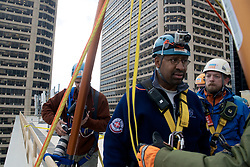 21 stories above ground level in Center City, Philadelphia, PA, USA - November 2, 2012; As they make the step over the edge rappellers have to overcome fair and rappel down more than 230ft. 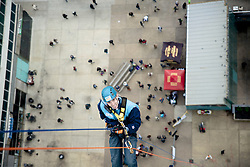 The participants first train at a one story instruction drop before heading for the big one. 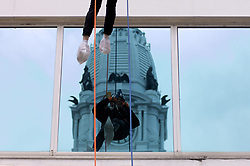 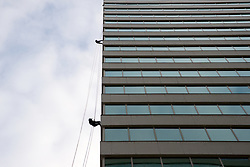 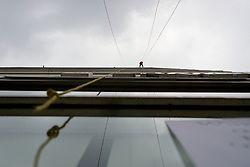 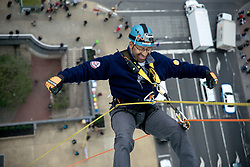 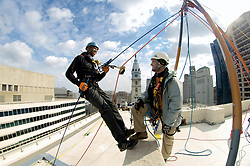 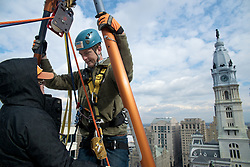 Philadelphia Mayor Michael Nutter is one of 'Fearless Rappellers'. 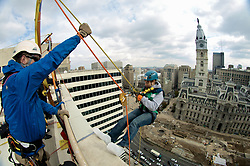 Almost 70 attended the fundraising event, organized by Outward Bound Philadelphia and Over the Edge.